The best motorcycle helmet is the one that fits properly and the one you’ll wear every time you’re on your bike, no excuses. Helmet technology has progressed so much in the last decade that even the cheapest helmets available are more than enough to protect you in the event of a crash. For the best protection, you’ll want a full face helmet rather than open face ½ or ¾, with modular flip helmets offering a good compromise. All helmets produced by the largest manufacturers such as Bell, Shoei, HJC and Arai will have undergone rigorous testing procedures to evaluate and validate their safety performance. Instead, you’re choosing a helmet based upon its looks and functionality as well as the type of materials used in its construction. If you want carbon fibre or the latest composite shell, you’re going to have to pay for it. Maybe you want the latest Rossi paint scheme or maybe you’re after Bluetooth compatibility. Whatever you need, one of the helmets we’re about to review will be sure to provide it. Whilst you’re here, make sure you also visit our article on how to choose the best motorcycle helmet. 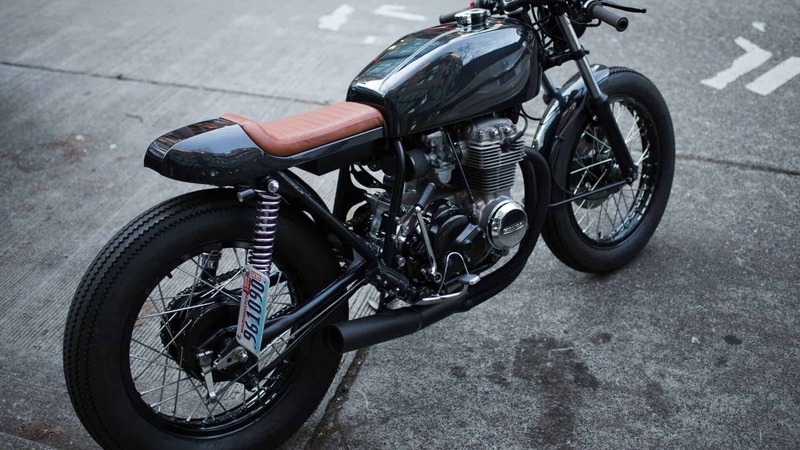 Welcome to our best motorcycle helmet round up and review. The RF-1200 has been around for a few years now having replaced the previous RF-1100. Despite that, we’re able to tell you it’s still the king of the hill in its price bracket, delivering a world class performance of low weight, good ventilation, high quality construction and finish as well as DOT and Snell safety certifications. If you have what they call an intermediate oval head shape then this is the helmet for you. It will work well on both a naked and sports bike due to its great aerodynamic profile. 4 different shell sizes are available depending on the size of your head so make sure you consult Shoei’s size chart to ensure the right fit. We found fit to be on the smaller side so you might find yourself sizing up. The visor system accepts pin lock inserts to assist in defogging and keeping the visor clear from condensation in rain. This model will come with a clear visor but you can easily swap it out for another of your choosing. I’ve gone for the dark smoke which means I don’t have to wear sunglasses, with the visor still letting enough light in during low light conditions. Available in pretty much every colour under the Sun as well as some great custom graphics options, you’ll be sure to find something that suits you. Shoei produce more expensive helmets but you’re not necessarily getting that much more over and above what the RF-1200 provides. Just for reference, this model is known as the NXR on the European market. 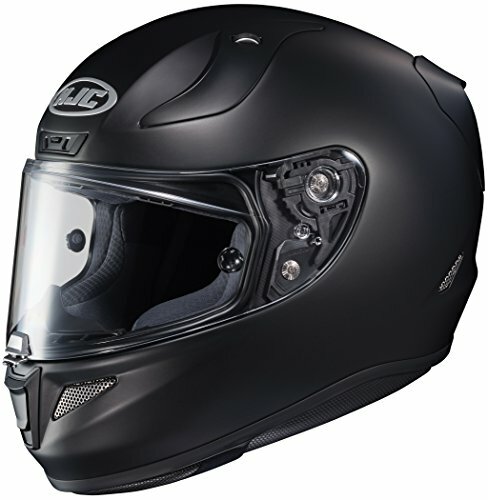 Coming in a close second for best overall motorcycle helmet is HJC’s RPHA 11 Pro. 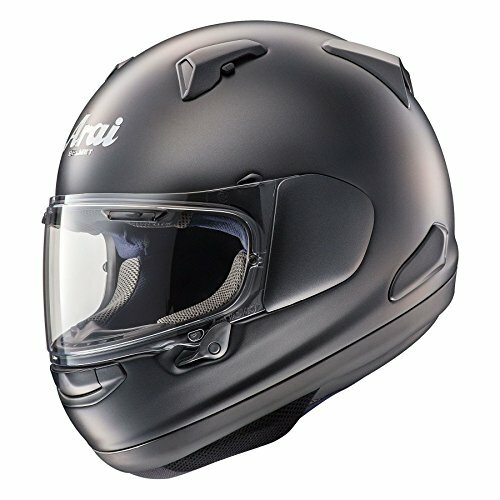 HJC have a reputation for making great value high quality helmets with a lot of their range coming under the $200, £200 mark. 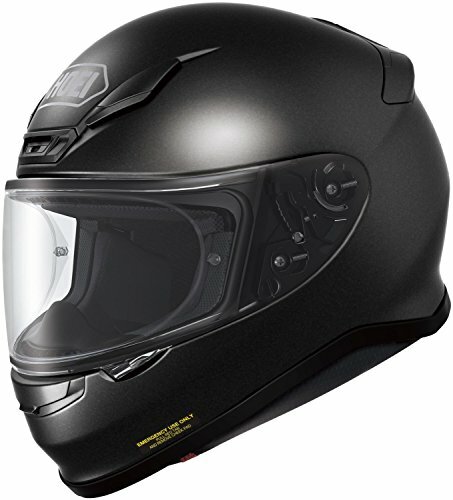 The RPHA 11 is a step up from that, offering pretty much everything the Shoei RF-1200 does at a similar price. There honestly isn’t that much that separates the two so you’re going to have to decide which is right for you. This time you’re getting DOT and ECE safety certifications which is great at this price point. The shell is made from a composite fibreglass construction featuring an advanced blend of carbon fibre and aramid. This helps to increase the rigidity of the shell as well as reduce overall weight. One thing we didn’t like is the noise levels experienced at speed. This may be due to the helmet’s ventilation system which does a great job of keeping your head cool. Not a big issue as it’s a good idea to wear earplugs anyway. This model comes with both a clear and tinted visor meaning you shouldn’t need to buy another one. From a sizing point of viewing, it’s a little narrower than the Shoei so bear that in mind if you have a wider head but the overall shape is still intermediate oval. If you have a round head and want a helmet to rival the Shoei and HJC then look no further than the Quantum-X. It’s often said that you either have an Arai head or you don’t and I fit into the latter category. I’ve never been able to get one to fit properly and I must confess, I’m not a fan of the styling or overall shape of the shells that Arai produce. Which is not to say the Quantum-X isn’t any good because it is. If you’ve had an Arai before and you know it fits then this is the helmet you should be looking at. DOT and Snell certifications are applicable with the outer shell made of what Arai call a Super Complex Laminate Construction. The idea is that multiple layers of materials are bonded together for increased rigidity and tensile strength. What we can say is that the Quantum-X is light at just over the 3lbs mark, similar to the Shoei and HJC. Noise is a little on the high side again but you can toggle between the brow and chin vents which go some way to addressing the problem. There is also a speaker or headset recess panel located within the internal liner which is covered by 5mm of foam padding. If it fits and you don’t mind looking like as Astronaut then this is the model for you. HJC come out on top again with their budget friendly line up. 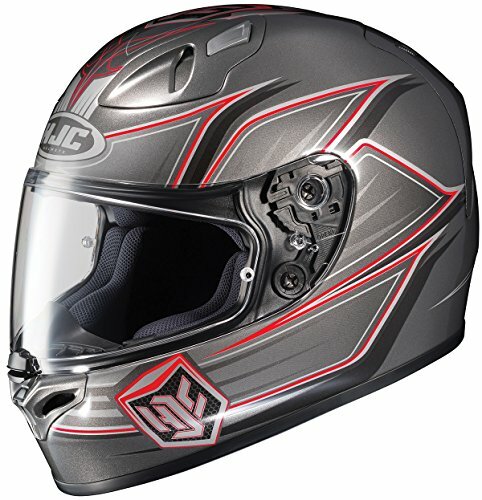 We actually find it hard to believe that HJC are able to offer the quality they do with this helmet for less than $200. You need to see it to believe it, the quality of finish and materials are brilliant and aren’t too far behind the more expensive helmets on test. Designed for an intermediate oval head, the FG-17 takes design cues from its pricier RPHA cousin. The aerodynamic profile is good and the construction is great with an advanced fibreglass composite shell used. Unfortunately, the chin vent doesn’t work as well as it could and the top vents are a little noisy. DOT and Snell certifications have been achieved but note that it is the older M2010 Snell and not the more recent M2015 specification. This won’t make much difference but it’s something to bear in mind if cutting edge is important to you. The visor supplied has an anti-fog, anti-scratch coating but you’ll have to buy the pin lock inserts separately. You’re also missing the chin curtain which is sold as an accessory. With all that said, if you’re on a budget, look no further than the FG-17. The Qualifier has been in Bell’s line-up since around 2010, which they’ve been slowly improving every year. It’s important to note that this review covers the standard model and not the Deluxe (DLX) or MIPS version. Although they are very similar, the price points are different as the other models come with upgraded features such as transition lenses. This model is the cheapest on test but provides a low cost solution that will perform for years to come. You’re going to be sacrificing some of that low weight enjoyed with more expensive models and the Qualifier only comes in 3 shell sizes unlike some of the others. 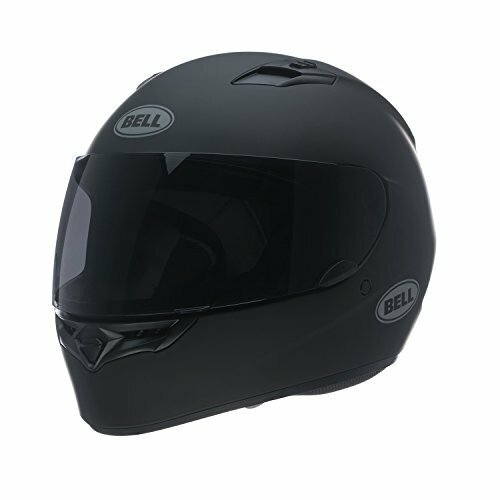 Still, you’re getting the common intermediate oval head shape and DOT safety certifications as well as Bell’s renowned quick release visor system. If you haven’t played with one of these before then give it a go. You can change the visor on one of these in less than 5 seconds. You are probably going to need earplugs as the cheaper helmets in the Bell range are very loud once at speed. For what it costs, I would be happy to have one of these on my head. There you have it, the best value for money helmets available on the market today. Be sure to drop us a message with your experiences.